What is the UA CRCPHP Membership Program? The membership program of the Canyon Ranch Center for Prevention and Health Promotion (CRCPHP) is a way for the Center to recognize, encourage, and advance collaboration between the Member, the CRCPHP, the Mel & Enid Zuckerman College of Public Health (MEZCOPH), and The University of Arizona (UA) community of faculty, academic professionals, and students. Consideration of an individual for membership in the CRCPHP requires a major interest in wellness (lifestyle, health behaviors: diet, physical activity, smoking cessation, stress reduction, sleep quality, etc.) research and involvement, either directly or indirectly, with the CRCPHP programs as well as collaborations with other Center members. 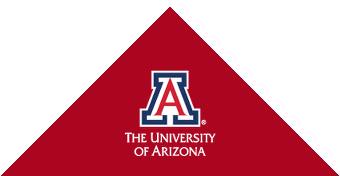 Non-University of Arizona employee with expertise and interest in lifestyle behaviors and their role in achieving optimal health and/or experience in development and/or delivery of wellness/healthy lifestyle programs and/or employee or associate with community organization that is engaged in development, delivery and/or dissemination of lifestyle wellness programs, interventions. Occasional exceptions may be made for individuals who do not quite meet the criteria for membership status, but based on their professional role, their wellness interests, and relationship with the University Community, may be awarded membership. Center members may be designated either through a Courtesy Associate Appointment, an Associate Appointment, an Affiliate Appointment, or a Courtesy Affiliate Appointment. (The Associate and Affiliate appointment types correspond to the UA No-Salary Designated Campus Colleagues (DCC) guidelines1.) Applications for membership are initiated at the Center level. What is the significance of Membership in the CRCPHP? Membership enhances relationships between the individual member and the CRCPHP, ideally resulting in new projects and initiatives to improve/promote health & wellness in the Tucson community. Utilization of expertise, experiences and intellect of individual members as well as the collaborative team efforts greatly enhances the ability of the CRCPHP, MEZCOPH and the UA to accomplish its education, research and service missions. What are the benefits of Membership in the CRCPHP? Priority use of shared resources, equipment and services of the CRCPHP. Eligibility for developmental funds or for pilot/feasibility research projects. Opportunities for collaborative grant and manuscript development. Waiver of registration fees for all CRCPHP sponsored conferences. Notification of wellness-associated research awards, conferences and seminars. Scientific and technical review of proposed research for activation at the CRCPHP. Access to the lifestyle research journal club. Recognition on the CRCPHP website. Access to academic & community partners for research and outreach. Members are expected to contribute to the education, research and service activities of the Center. Some of the activities in which members will be expected to become involved include: serving as a guest lecturer, presenting at seminars, mentoring, collaborative grant writing, conference participation, engagement in networking events, and other efforts that support the activities and goals of the CRCPHP. Members will also be required to submit an updated CV to the Center office annually. Courtesy Associate appointments are awarded to individuals who currently hold a faculty or academic professional position in the Mel and Enid Zuckerman College of Public Health, and to those who hold academic appointments in other college/units in The University of Arizona, and have the potential to contribute to the mission of the CRCPHP and MEZCOPH. Associate appointments (UA DCC relationship) are awarded to non-UA employed individuals such as unpaid faculty, principal investigators, visiting scholars, dissertation committee special members, and others who are regularly engaged in activities that directly support the CRCPHP teaching and research mission. Courtesy Affiliate appointments are awarded to individuals with exceptional leadership and management experience from education, government, business or industry whose appointment is beneficial to the CRCPHP and MEZCOPH. Affiliate appointments (UA DCC relationship) are select individuals from agencies, institutions, hospitals and clinics that directly contribute service to the academic or research mission of the University and have been afforded contractual affiliates status by the Office of the Provost. All membership appointments are initiated at the Center level and require review. Appointments are normally expected to last for 3 years and are contingent on engagement in CRCPHP-related activities. Appointments can be renewed by mutual agreement; the Director’s Committee evaluates renewal status. Nominations are accepted either from individuals interested in becoming members, or from current members wishing to sponsor a colleague. Once the CRCPHP Director’s committee reviews and approves this information, the CRCPHP staff will assist the applicant in preparing a complete packet (including official UA DCC forms, if necessary) for submission to the Director of the CRCPHP, Dr. Cyndi Thomson, for approval. The CRCPHP will inform the individual that a membership of the appropriate appointment type has been granted. The member or investigator resigns from the University and has no formal affiliation with the CRCPHP. Research interests are no longer consistent with the Center’s mission. Discontinuation of interaction with CRCPHP membership. UA DCC relationships are considered at-will and carry no promise of continuation and can be terminated at any time, without cause, without notice and without recourse.